No trace of the nerve agent that killed the estranged half brother of North Korean leader Kim Jong-un has been found at the capital city's airport, Malay authorities said Sunday. The country's police said they thoroughly swept through Kuala Lumpur International Airport's second terminal, and found the site free of contamination and hazardous material. The screening was conducted in the early hours of the day as the Southeast Asian country confirmed that the autopsy of Kim Jong-nam found traces of the VX agent. The deceased, the eldest son of former late North Korean leader Kim Jong-il was killed shortly after two women smeared the lethal substance all over his face on Feb. 13. He was rushed to a nearby hospital but died en route. The Malay government has implicated Pyongyang for the murder, although the reclusive regime has denied all involvement causing a diplomatic row between the two countries. Local authorities also said that people who came into contact with Kim Jong-nam have all been checked and none have become sick, and that there has been no reported cases of nerve agent poisoning at the busy airport. One of the women who has been detained for smearing the nerve agent on Kim's face did vomit while riding a taxi right after the attack but has since shown no signs of illness. VX, one of the most toxic chemical substances in the world, is an oily, amber-colored liquid that is tasteless and odorless, according to the website of the US Centers for Disease Control and Prevention. 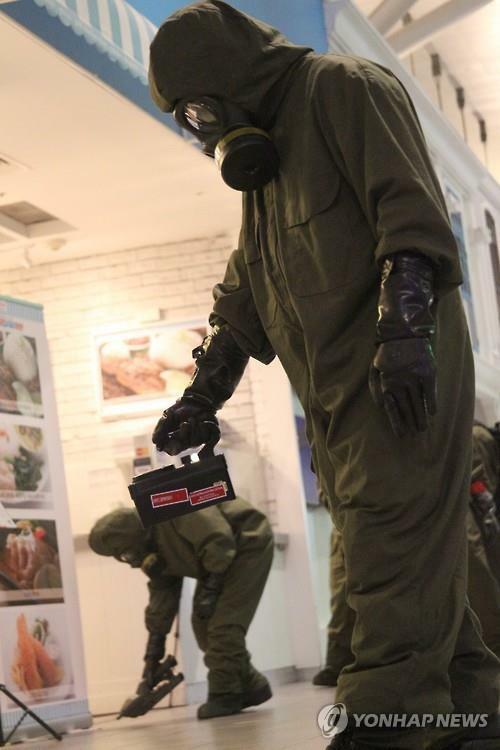 The Malay law enforcement and health authorities have taken flak for conducting a sweep of the airport 13 days after the murder, which could have exposed innocent bystanders to the nerve agent. Related to the ongoing investigation, local police said later in the day that they raided a condo that was rented by the four North Koreans being sought in connection to the high-profile murder. Police said in the course of the search they identified chemical substances that could be linked to VX. They said that no definitive announcement can be made regarding what has been found at the condo since they have been sent to a lab for thorough testing.